1. Improved Game System.. 2. Bug Fixes. A dark city with full of zombies! 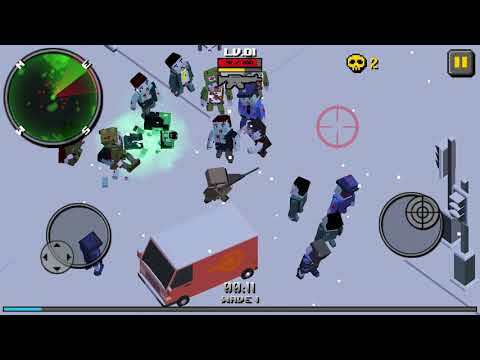 It is a shooting game to defeat zombies coming from every direction as a 3rd person.You will be able to enjoy thrilling action game through various weapons and upgrade.Don&apos;t worry if you are isolated by zombies, you can escape the danger area by using lethal mo... see more A dark city with full of zombies! It is a shooting game to defeat zombies coming from every direction as a 3rd person. Don&apos;t worry if you are isolated by zombies, you can escape the danger area by using lethal move.